Come one, come all, and join us at the 5th Annual Four Gen Awards Celebration on Friday, November 30th, from 6-9 pm, in Arlington, VA.
Why? Spend a great evening with people like you who are passionately striving to make a difference for the planet! You could win a door prize, too! NOTE: It’s Cyber Savings time – and we have TWO special offers for you to attend the Four Gen Awards Celebration this Friday! Now you can bring along a friend, or even two friends, and save! How? Buy one ticket at regular price and then get up to TWO more tickets for half price! Even if you have already purchased your ticket, you can still take advantage of this offer! We’ll tell you how to do it below. Here’s how to attend and take advantage of our CYBER SAVINGS special offers! • Click the button below and you can register up to 2 guests and receive a 50% discount for them. • If you have already registered and would like add up to two friends to join you, you can take advantage of this discount by registering each person and applying a LEGUEST50 promo code. Millennial Generation, Lindsey R. Shaw: Commercial Energy Program Manager, Montgomery County Department of Environmental Protection. She is a keen innovator of cutting-edge programs and related education on commercial energy efficiency, renewable energy, green buildings, and related topics. She works with the business community and public to empower them to enact energy-saving measures and is a key organizer of the Montgomery County Energy Summit. Gen X Generation, Stephen Coughlin: President and Chief Executive Officer, Fluence, a joint venture between AES and Siemens. He leads the Fluence team to accelerate energy storage, often called the Holy Grail of Energy, to enable the transformation of the way we power our world to ensure a more sustainable future. The company has deployed or been awarded nearly 700 MW of grid-connected storage projects in sixteen countries around the world. 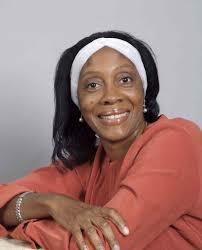 Baby Boomer Generation, Queen Zakia Shabazz: Coordinator of the Virginia Environmental Justice (EJ) Collaborative, a network of environmental organizations. She is a powerful voice for clean energy jobs for unemployed and underemployed, protecting coastal communities, climate justice, and reducing pollutants in heavily burdened communities in the state of Virginia. She also founded the Virginia Chapter of United Parents Against Lead. World War II Generation, Dr. Herman Daly: Emeritus Professor at the University of Maryland’s School of Public Policy and former Senior Economist in the Environment Department at the World Bank. He is an eco-visionary of ecological economics and a steady-state economy which places the economy squarely inside the global ecosystem, instead of the other way around. He is co-founder of the International Society for Ecological Economics and the journal, Ecological Economics. 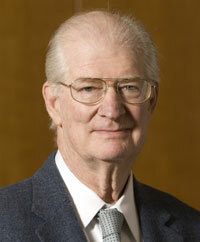 Dr. Daly is also the recipient of numerous international awards and the author of many books and articles. Mark your calendars, get your tickets, and join us on November 30th to meet these remarkable honorees! Enjoy food and drink in a festive atmosphere – and spend the evening with other like-minded people who are passionate about these issues and are working for change at individual and collective levels. The 5th annual Four Generations Awards will be celebrated on Friday, November 30th, from 6:00 – 9:00 pm, at the Crystal Gateway Condo Complex, 1300 Crystal Drive, Arlington, VA 22202. 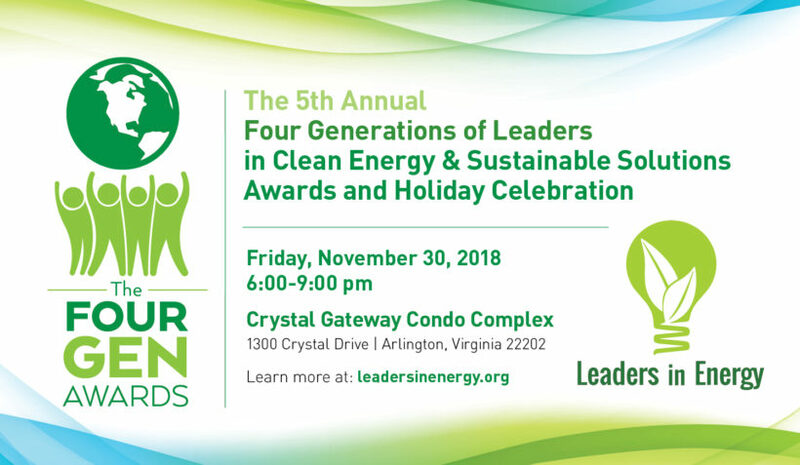 *Honorees were nominated by Leaders in Energy (LE) members and selected by our LE Four Generations Nominating Committee. See more about our Awardees further below. We are working in conjunction with the Arlington County Department of Environmental Services to make this a zero-waste event via the use of their in-vessel industrial composter. (For 4 Gen sponsorships, see more information here). Lindsey R. Shaw is the Commercial Energy Program Manager for Montgomery County’s Department of Environmental Protection. 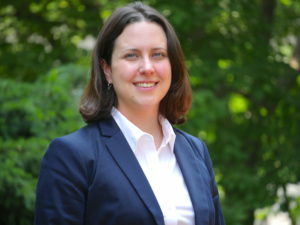 Her primary roles are to provide technical assistance to commercial building owners and property managers in Montgomery County—primarily through the annual Montgomery County Energy Summit conference, County’s Benchmarking Law, and commercial property assessed clean energy (C-PACE) finance program. Prior to working for the County, Ms. Shaw was an environmental consultant serving the Federal sector and has experience in the sustainable nonprofit world as well. Ms. Shaw received her master’s degree in Energy Policy and Climate from Johns Hopkins University, and her bachelor’s degree in Environmental Policy from Boston University. She also serves as co-chair on the USGBC-National Capital Region’s Market Leadership Advisory Board. Ms. Shaw is a LEED AP® O+M and has experience with benchmarking energy and water use, building energy management, commercial properties, and communication and outreach efforts. She also holds the Energy Efficiency Practitioner credential from the Association of Energy Engineers. Stephen Coughlin leads the Fluence team and its efforts to accelerate energy storage adoption globally, to transform the way we power our world and ensure a more sustainable future. Before joining Fluence, Mr. Coughlin led the AES Energy Storage business unit through a high-growth phase and through the merger transaction and integration with Siemens Energy Storage that created Fluence. 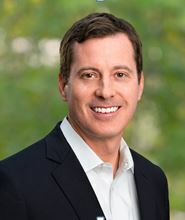 Across ten years at the AES Corporation, Mr. Coughlin led the Corporate Strategy & Investments team, managed the executive team’s capital investment committee tasked with shaping the company’s investment portfolio, served as Chief of Staff to AES’s CEO and Director of Finance for AES’s global wind generation organization. Earlier in his career, Mr. Couglin held positions as an economic consultant and in corporate finance and strategic planning in the telecommunications industry. He holds an MBA from the University of California at Berkeley and a bachelor’s in commerce and finance from the University of Virginia. Queen Zakia Shabazz is an author, educator, and lecturer. She is raising awareness of environmental justice (EJ) issues in Virginia and is the coordinator of the Virginia Environmental Justice Collaborative, a new collaborative focused on EJ in Virginia. See the collaborative’s Facebook page here at and info here on the Virginia Environmental Justice Collaborative and its work to promote renewable energy and energy efficiency, clean energy jobs, address vulnerability of coastal communities, and target reductions of pollutants in heavily burdened communities. In 1996 Ms. Shabazz discovered that her young son had been poisoned by lead. This prompted her to establish the Virginia Chapter of United Parents Against Lead (UPAL) and to write an account of her family’s struggles with lead poisoning in a book entitled, “A Child is a Terrible Thing to Waste.” UPAL evolved into United Parents Against Lead & Other Environmental Hazards. www.upal.org She is a member of the Lead Service Line Replacement Collaborative and served on the Advisory Board of the Senate Joint Subcommittee Studying Lead Poisoning Prevention. Ms. Shabazz holds a Paralegal Certificate with specialty study in Real Estate and Civil Litigation and a B.S. degree in Business Administration. Dr. Herman Daly is a eco-visionary whose work places the economy squarely inside the global ecosystem, instead of the other way around. It was Daly’s realization that the present economic regime of civilization is deeply flawed in a manner that is destroying the fabric of the ecology of Earth presenting an existential to all of humanity and life on Earth. The present system, called NeoClassical economics, or ‘growth economics’, places economic growth as the highest good, the very destiny of humanity. It regards the natural world as a limitless larder of resources for economic exploitation and limitless ‘waste sinks’ into which we can dump and disperse the wastes of a consumption-driven system. He has impacted a vast number of people through his activities within the International Society for Ecological Economics, the World Bank, and emeritus professor at the University of Maryland’s School of Public Policy. He was Senior Economist in the Environment Department of the World Bank, where he helped to develop policy guidelines related to sustainable development. He was a co-founder of the International Society for Ecological Economics, as well as a co-founder and associate editor of the journal, Ecological Economics. He has served on the boards of directors of numerous environmental organizations, including the Center for the Advancement of a Steady State Economy (CASSE) and has received numerous awards for his work. He is the author of numerous books, including Toward a Steady-State Economy (1973); Steady-State Economics (1977; 1991); Valuing the Earth (1993); Beyond Growth (1996); and Ecological Economics and the Ecology of Economics (1999). He is coauthor with theologian John B. Cobb, Jr. of For the Common Good (1989; 1994). He holds a B.A. from Rice University and a Ph.D. from Vanderbilt University. Note: Dr. Brian Czech will accept and convey this award to Dr. Herman Daly who is unable to attend in person due to health issues. Dr. Brian Czech serves as the Executive Director of the Center for the Advancement of a Steady State Economy (CASSE) and has worked closely with Herman Daly in his work pertaining to steady-state economics.